Admission programme for MBBS or Bachelor of Medicine Bachelor of Surgery programme has started for the session of 2016 in Shri B M Patil Medical College, Hospital & Research Centre of Bijapur. 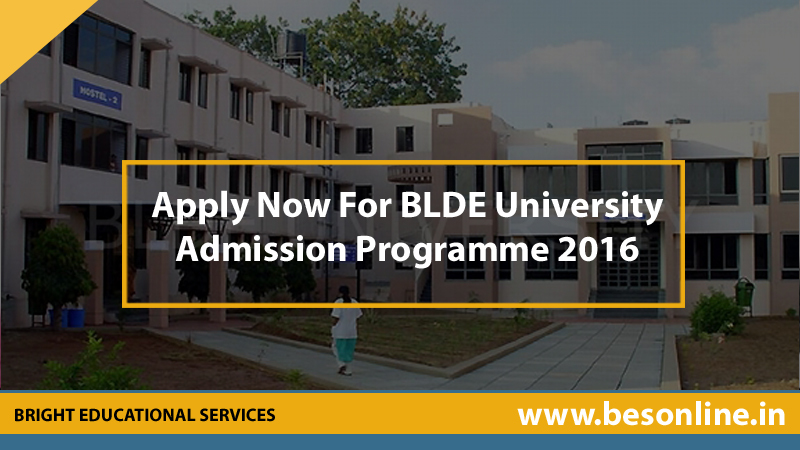 Eligible and willing students are invited to apply online by the BLDE University of Bijapur. Every candidate, applying for this course, must have completed Class 12 exam from a recognized board or university. The candidate should be at least 17 years old as on December 31st, 2016. Also Read CAT 2018 Examination Dress Code That Every Candidate Must Follow! A candidate has to pay the fee by drawing demand draft of Rs 2000 in favor of ‘The Registrar, BLDE University, payable at Vijayapura (Bijapur)-586103’. Candidates will be shortlisted on the basis of the BLDE University All India Under Graduate Entrance Test (BLDEU-UGET). NIFTEM MBA Admission 2019 – Notification Released! How Doing an MBA Can Benefit for Your Career? How to Select Your Area of Specialization for MBA?